Keep your carpet in tip-top shape by cleaning spills, removing carpet stains, using a shampooer-extractor, carpet stain removers, and carpet cleaning twice a year. One good way to remember to get this done is to schedule your cleaning at the same time you take care of your semi-annual A/C maintenance . Do you have wood flooring or carpet in your home? If you have any carpet, you know that carpet stains are unavoidable; theyre a fact of life. Do you entertain on a regular basis? Then you will have more than your fair share of stains. Replacing all the carpet yearly is not really an option so mastering the art of removing carpet stains is a worthy goal. If youre a home owner you need to maintain it or if youre a renter youll want to know how to remove a carpet stain to get your renters deposit back at a future date. 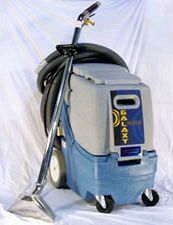 A carpet shampooer extractor is your best chance to remove spills before they can stain the carpet. Theyre not cheap, however buying one is well worth the expense. The price of having a professional carpet cleaning company visit twice a year adds up. Two carpet cleanings each year is the recommendation of most carpet manufacturers. Its always a good idea to test the color fastness of carpet before using any solution to remove stains. Test an inconspicuous spot, the back corner of a closet, for instance. Dont ever wet the backing, or use any bleach, or rub a stain. Blot the spot instead, taking the stain out beginning on the outside and working inwards towards the center. This prevents it from spreading. Finally, put a stack of paper towels (white ones) over the spot and weigh it down with a couple of bricks or a stack of books until all the moisture is gone. These are tough; just watch a few episodes of CSI or NCIS and youll believe me. 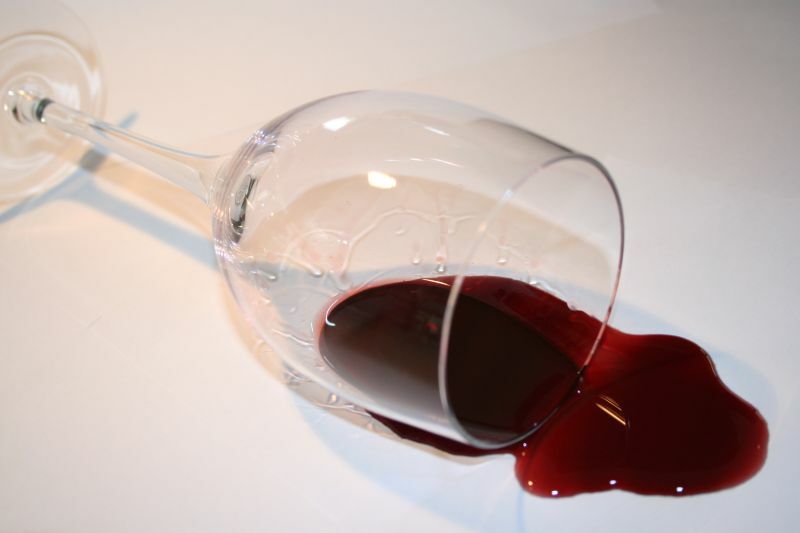 For blood stains, first remove as much as possible using a white paper towel and blotting. Next mix one tsp of ammonia and 1/2 cup of cool water together. Spray this solution on the stain and blot it up. Next combine 1/2 tsp of dish detergent and one quart of cool water. As before, spray and blot. By now the stain should be coming out. Repeat this step until your stain is removed and finally rinse and blot using cool water and a white towel or paper towels. Mud? If you have serious mud stains in your carpet, water and elbow grease will eventually get it out but a trick to making your job quicker and easier is to spray the area with shaving foam. This helps to loosen the mud that has adhered to the carpet fibers. 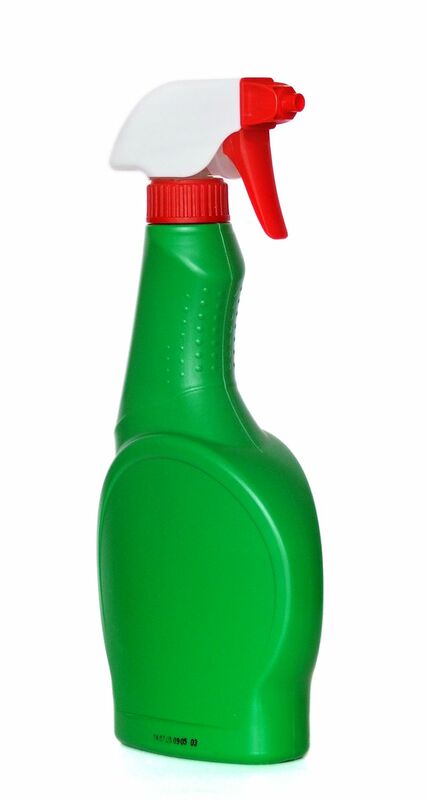 Most stains can be removed after a spray of a combination of everyday hair shampoo and water mixed in equal portions. Keep the spraying/blotting routine up until the stain is gone. Make no mistake; Fido will have accidents. And as bad as it is with puppies and middle-aged pooches and cats, geriatric pets get to the point where they cant help themselves. Heres what to do. Clean it up as best you can. Removes stools if thats what you are contending with and then blot until dry. Blot for urine. On the other hand if the stain has dried on the carpet fibers, you will need to moisten it. This can be done this by applying a special carpet stain cleaning product specifically made for pet stains. If you need to neutralize odors you can try several different tactics. Dont use ammonia-based products to clean dog urine because one of the ingredients of dog urine is ammonia. This might encourage Fido to soil the same spot because they smell the ammonia. In this case, make a solution of 1/2 white vinegar and 1/2 warm water. Spray this solution liberally on the spot. Let it to soak for a few minutes and then proceed with the blot technique until stain is gone and the spot is almost completely dry. Once almost dried, sprinkle a handful of baking soda over the area. Combine half a cup of 3% hydrogen peroxide and a teaspoon of mild liquid detergent or ordinary liquid dishwashing detergent. Use rubber gloves and slowly pour the hydrogen peroxide and detergent mixture over the baking powder. Work the dissolving baking soda well into the carpet, first with your fingers and then with a scrubbing brush. Allow the area to dry completely and then vacuum thoroughly. There are quite a few commercial solutions in your local grocery or home improvement store that will take stains out of your carpet. You will find some do the job better but you cant go by the name brand to indicate which ones live up to their claims. They might remove the stain, but they leave behind a residue that will bind to dirt resulting in a discolored spot all over again. The best bet is to begin with high quality, stain-resistant carpet. If you choose a color that doesnt show stains readily youll be one step ahead. When a spill does occur, remove it right away, while it is still wet. And dont forget to clean it thoroughly twice a year. You can either buy or rent an extractor and do it yourself, or find local reviews on the services you need at Angies List.